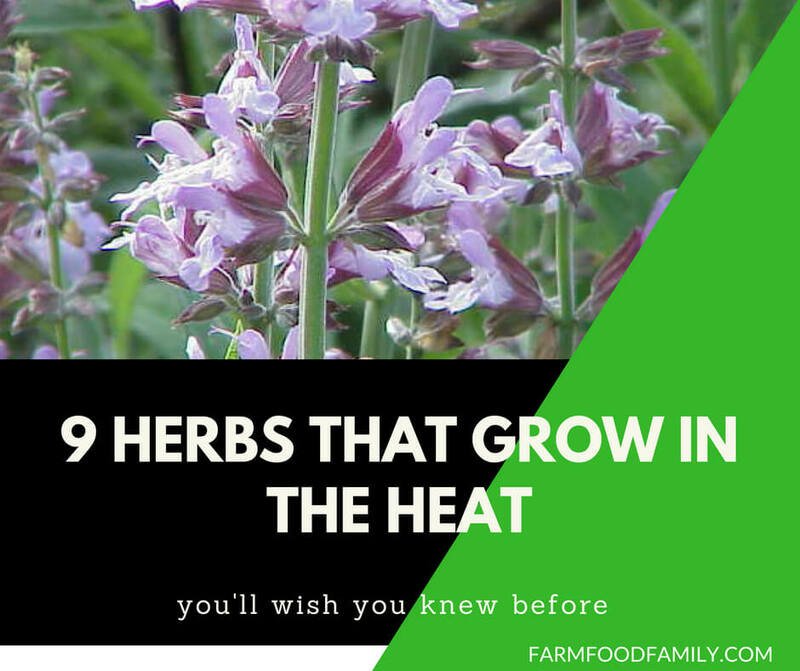 You don’t have to abandon your herb and flower patch when the heat hits. There are more herbs and edibles than you realize which, with a little care and good selection, can deliver flavor, color, zest and zing to your meals and drinks all summer long, no matter how high the mercury rises. Topping the list of heat warriors, of course, are all the Mediterranean herbs – oregano, sage, rosemary, lavender, thyme. Basils aren’t far behind, either, coming to life once the heat arrives after a long, cold winter. Then we have the suite of subtropical Asian flavors: cardamom, ginger, galangal, lemongrass, kaffir lime and perennial coriander. Want more inspiration? Here are my summer-lovin’ top 10. 3. Greek and perennial basil, Ocimum SP. mustard and rocket are edible and the bees love them. See a solution, not a problem; the salad greens and Asian greens will be struggling with the heat, but let them go to flower for the bees and other good bugs and use the blooms to pretty-up your summer salads. What would a summer garden be without bursts of brilliant color? Many of these are not perennials but they are tough flowering choices for summer and will happily self-seed for next season. Other great edible floral choices for summer are alyssums, dianthus, carnations and sunflowers. But there are just so many species and named varieties to choose from, ranging from the traditional garden thyme to the heavenly eucalyptus-like Spanish wood thyme. Some varieties grow as small woody perennials, while others fall into the creeping ground cover forms, growing flat like a carpet. The creeping thymes are a great choice to grow between pavers and stepping stones: crimson creeping, bergamot creeping, white creeping, Doone Valley. Other popular varieties are lemon, orange, Turkey, Pizza, Pink Chintz, Pink Matting, Orange Peel, Silver Posie, Caraway, Wild and Westmoreland. Grow in full sun with good drainage. The flowers are edible and bees just adore them. The humble flavor-packed chilli is the supreme lover of summer. Even if you don’t like your meals hot, there are many chilli varieties that deliver a chilli flavour without the burn, such as ‘Anaheim’ and ‘Poblano’. But if you really want to ramp up the heat dial, go for ‘Ghost’, ‘Habanero’ or ‘Tepin’. There are literally hundreds of named cultivars of chillies. Chillies like to grow in a hot, sunny location in the garden and can easily be grown in pots, too, for those who have limited space or live in an apartment with a sunny verandah. If you live in a subtropical area, be at the ready with your fruit-fly control measures, such as wick traps for the males, Eco-naturalure spray for both male and females and exclusion bags for 100 per cent protection. All basils love the warmer months but Greek and perennial basil are tougher and longer-lived than most of the other popular varieties. Grow your basil in a full-sun location with good drainage. The foliage, of course, is the main plant part used, but we are seeing more use of the other parts of the basil plant, such as the flowers and even the basil seeds. Be aware that the seeds pack a real basil flavor punch when added to meals and snacks. The flowers make a delightful garnish, too, and are a big hit with beneficial insects and bees. This fast-growing tree is the ultimate flavor addition to curries. In the ground it will grow to around 4m but it can be easily kept in a pot or container to keep its size compact. The fragrant white flowers appear in spring and summer and it’s best to prune them oﬀ, especially in warmer areas, as the seed that follows can be quite invasive. Note: the seeds are not edible. The foliage has a strong curry flavor, even more so when it hits heated oil in a pan. Quite often curry leaves are added to the pan before anything else to infuse its flavor through the dish. During the cooler months it’s quite common for the curry leaf tree to turn yellow and even defoliate a bit, depending on temperature. Protect from frost and grow in full sun. More on this plant in our last issue. Lemongrass is a large clumping grass plant that has a beautiful lemon scent. Mostly we use the stems when cooking but the grass blades can be used, too, especially for making delicious lemon tea. Lemongrass will grow to around 2m high and about 1m wide, so it will need plenty of space. Maintain plant by cutting back after flowering and dividing late winter/early spring so you can acquire more plants and reduce the width of your clump. Lemongrass can sometimes be confused with its close relative East Indian lemongrass, Cymbopogon flexuosus. Frequently used in Thai cooking, it is more resistant to the rust fungus that often aﬀects West Indian lemongrass. It’s a cold-sensitive plant, though. More lemon-flavoured herbs to choose from are lemon-scented myrtle, lemon verbena, lemon bergamot, lemon balm, lemon mint and lemon thyme. For those who love coriander and get frustrated with how the annual soft-leaf form, Coriandrum sativum, just bolts to flower once the weather heats up, this is the plant for you. Completely unrelated, Eryngium foetidum has an almost identical flavour to that of the common soft-leaf coriander. It’s a low-growing plant that appears as a rosette of long lanceolate leaves with a serrated edge. This attribute gives it its other common name: sawtooth coriander. It also goes by the name of Mexican coriander. Sawtooth coriander will die down in winter, which is fine because that’s when the common coriander is hitting its straps, lapping up the cooler weather. Once the temperature starts to rise again it will reshoot. When the prickly flower spikes appear in summer, take care when pruning them oﬀ as they are very sharp. Pruning will encourage more leaf growth. Grow in full sun and soil that has good drainage. When using perennial coriander in your cooking you need to chop the leaves more thoroughly as they are a lot tougher than regular coriander. They can be used in stir-fries, curries, soups, salads and salsas. The flower spikes and roots can be used, too. Sage is a fantastic perennial shrubby herb with soft grey foliage. It can be added to a variety of culinary dishes. The flowers are edible, too. There are also other coloured forms — purple, gold variegated and tricolour. Another couple of sage beauties to grow are pineapple sage and fruity sage. Both have the most aromatic foliage and beautiful flowers. Pineapple sage, of course, has a pineapple flavour and the vibrant red flowers are also edible. Fruity sage foliage has a fruit salad flavour and bears delightful bright-pink edible flowers. Both of these require a bit more water than traditional sage. In subtropical and tropical regions many treat common sage, Salvia officinalis, as an annual. This flavorsome cousin of oregano is a flavor-packed, heat-loving beauty. The furry grey-green foliage that grows up to 40cm high and can spread up to 1–2m doesn’t bat an eyelid when the heat hits. All the oreganos are, of course, great year-round herbs. Oregano za’atar generally has a stronger flavour. The flowers are white and appear in summer. Common oregano, Greek oregano, golden oregano and close relative sweet marjoram also flourish when the summer temperatures soar. They are all low-growing spreading perennial plants and have either pink or white flowers. This group of herbs is essential for lovers of Italian cuisine. Just add to pizza, pasta and casseroles. Rosemary is a long-lived hardy herb that has had a long association with Remembrance Day. It’s also reputed to assist with improving memory and even longevity. These days, there are many types of rosemary and all are edible. There are groundcover forms, compact bush forms and traditional shrub forms, some of which can grow up to 2m plus. The flower colours vary, too, from pale blue to white, pink and deep blue, and there’s even a variegated foliage form. Rosemary likes a hot, sunny spot in the garden with good drainage. Larger forms can be clipped into a hedge or even a rounded topiary shrub. The flowers are edible and a popular nectar source for bees and butterflies. Deadheading, harvesting, mulching, watering, seaweed applications and regular fertilizer are all important maintenance practices to keep that herb patch cranking despite the heat. Remember to harvest your herbs on a regular basis, as this will keep them producing more fresh new growth throughout the season. Don’t succumb to the summertime sulks and let the heat get you down. Just change your edible crops and put a little extra time into soil preparation and plant care, and you’ll still be on your self-sufficient journey, even in the sweltering, sizzling summer weather.